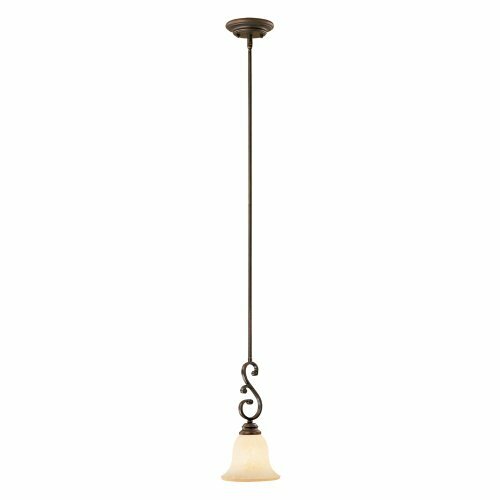 Millennium Lighting 1201-RBZ Oxford 1-Light Mini-Pendant in Rubbed Bronze by Millennium Lighting at Verso Laquila. MPN: 1201-RBZ1201-RBZ. Hurry! Limited time offer. Offer valid only while supplies last. Mini-Pendant are hanging fixtures that subtly beautify the space they illuminate. This Oxford lighting product is available in Rubbed Bronze finish. Mini-Pendant are hanging fixtures that subtly beautify the space they illuminate. This Oxford lighting product is available in Rubbed Bronze finish. This Mini-Pendant is brilliantly designed with Turinian Scavo shade or glass finish. This fixture works up to 1, 100 watt lamps, NOT INCLUDED. These lamps can supplied with more energy efficent options like LED and compact fluorescents, Please See Our Lamp Section. If you have any questions about this product by Millennium Lighting, contact us by completing and submitting the form below. If you are looking for a specif part number, please include it with your message.